Top o’ the morning to you, and happy St. Patrick’s Day 2016! Wanting to celebrate, but don’t have the right accessory? 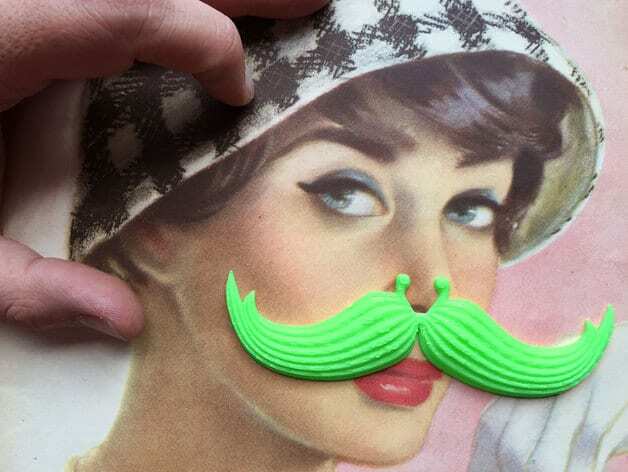 We’ve gone through the extremely limited options to bring you the best 3D printables to make sure everyone is a little bit more Irish on St. Paddy’s Day. It was a little disappointing how few objects were available online, but we were able to put together a decent list below of our top picks. Other than green, the first thing many think of when it comes to celebrating St. Patrick’s Day is beer. 3D print design libraries are chock full of bottle openers in just about every design and shape you can imagine, but unfortunately, there were not too many themed around what is basically a “drinking” holiday. 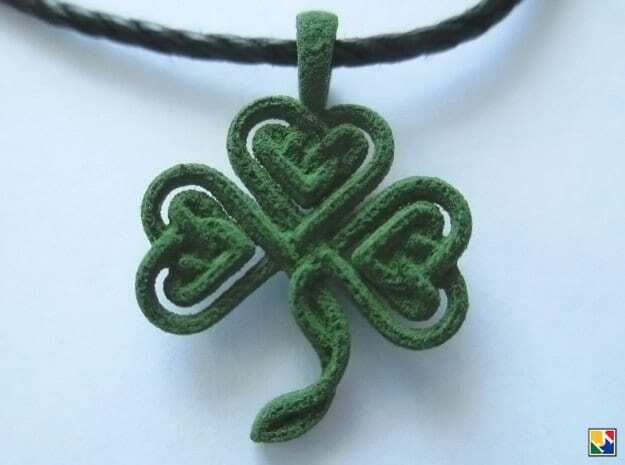 It would have been great to find a shamrock shaped opener in a great shade of Irish green, or even a beer mug to pour a nice cold one in, but unfortunately that was not the case. First up, is a Heineken Ice Bucket, coaster, and bottle opener available on Cults 3D. While traditionally, a Dutch beer (pay attention next year, Guinness! 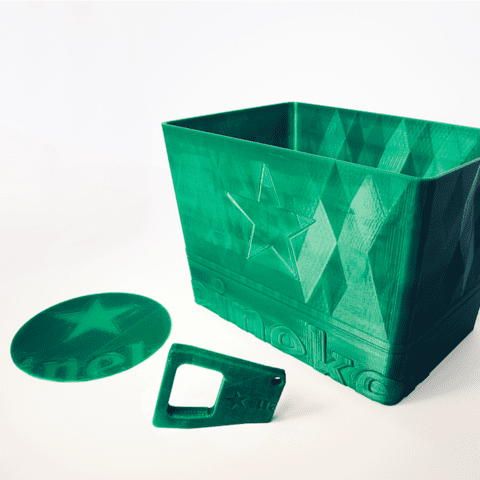 ), what’s nice about this print is that large companies like Heineken are getting into the 3D print world. The filament even looks to be matched to the companies colors already, something all companies should consider when looking into creating 3D printed products – will it be able to match your brand’s colors? 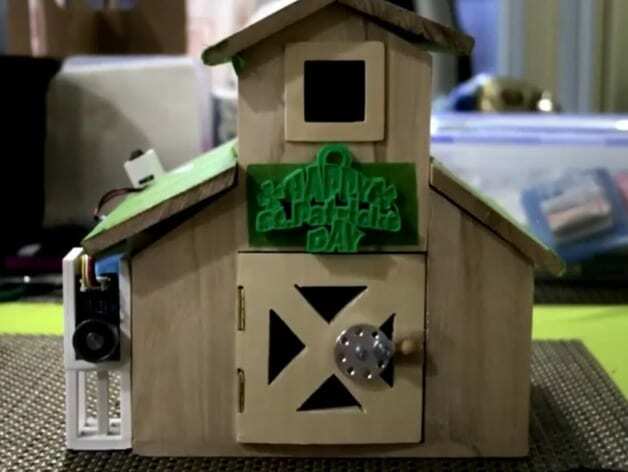 There are only so many shades of green filament available right now, and it takes a lot to get your colors matched just perfectly. 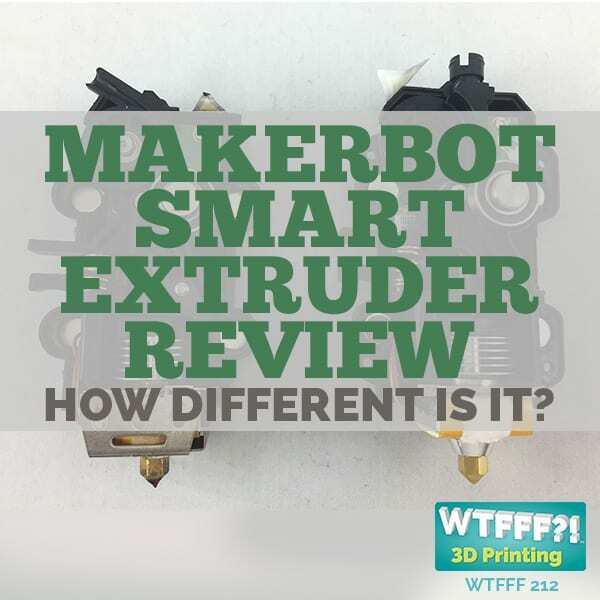 By a lot, we mean that you better be prepared to order 300 rolls of the same filament if you are getting a custom color made. 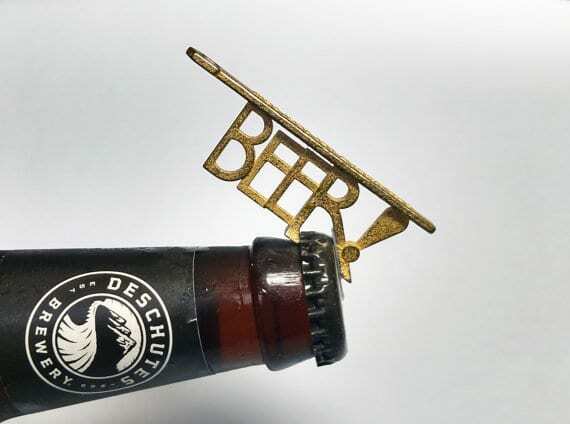 The beer tap pull is really unique and can certainly be customized. 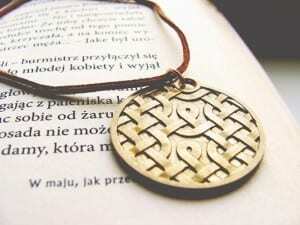 It’s a great design by Tapp3dDesign and you can order from their Etsy Store. Lots of potential here for home brewers and even mirco breweries to get tap pulls for their bar area to further advertise. I like the bottle opener from StudiodaRose for the obviousness of what it is. It’s cute graphic design could appeal to anyone and would be a great little hostess gift or party favor for your St. Patrick’s Day party. 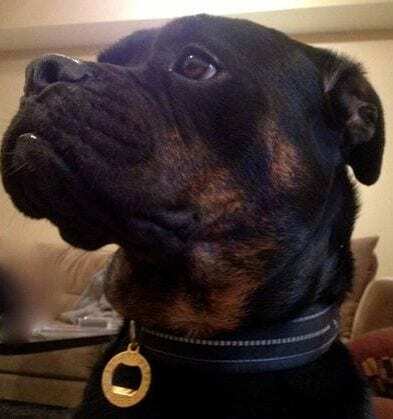 Even your pooch can join in on the fun by wearing this 3D printed bottle opener collar by Bryson Stewart on Shapeways. It’s called a BubbaTag Medallion, not the easiest to find using tags the designer chose to be uploaded with this product. We actually found this on Pinterest using the tags and re-pins of other users. Another example of how important it is to correctly tag your designs to make it easy for users to search and find your items. 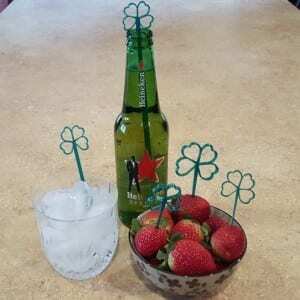 If you are setting out some leprechaun treats for your guests, a few shamrock swizzle sticks will do the trick to keep it festive. It’s great that the designer, Barb_3dprintNY on Pinshape, showed the different uses for the print in her display picture. 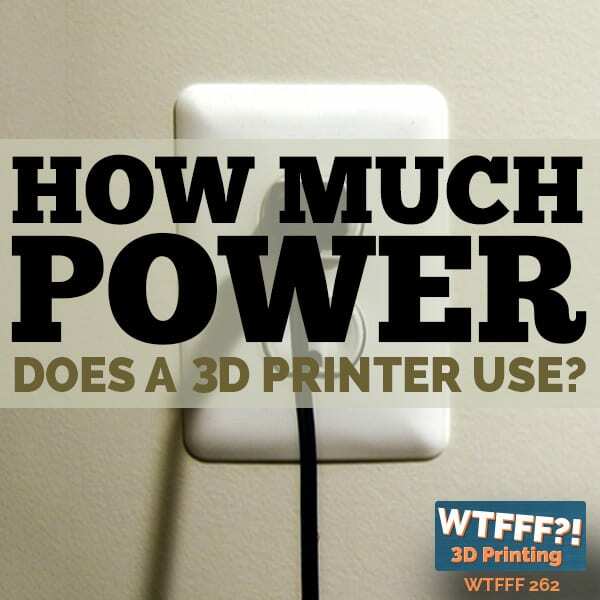 Be sure, also, to print using food safe PLA. 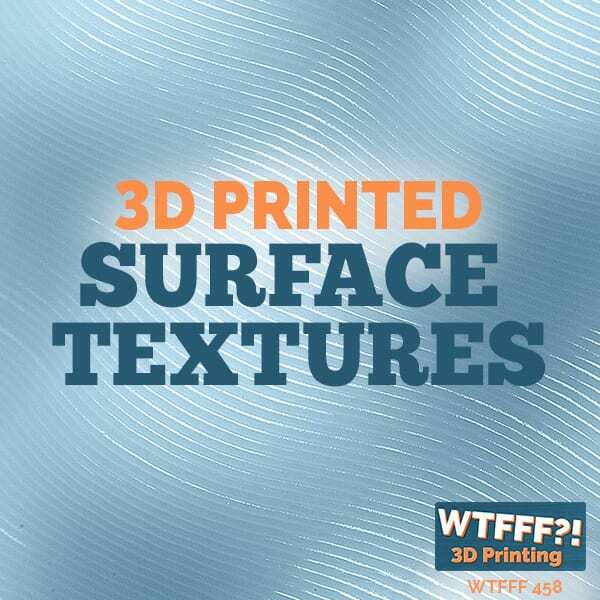 Our last item in the over 21 (if you are in the United States) category is actually no t a 3D print design, but rather a material. 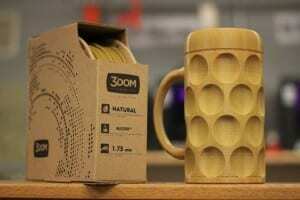 3Dom has created a line of filaments made out of the by products of beer brewing called Buzzed. 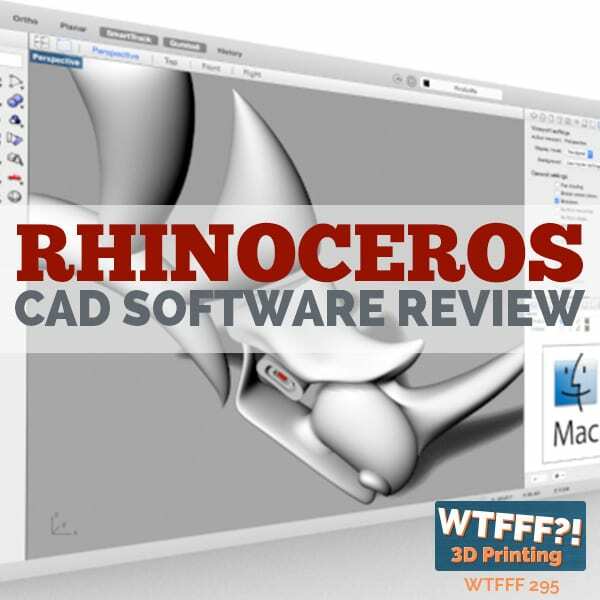 Not sure how great your print will come out, but it makes for a fun twist to any of your designs. 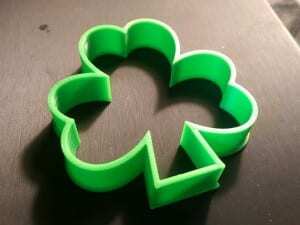 While it reportedly will not smell like beer when you print it, nor will it give you any consumption side affects, I could see it in use for many occasions other than St. Patrick’s Day, such as 21st birthday, Super Bowl parties, 4th of July, etc. 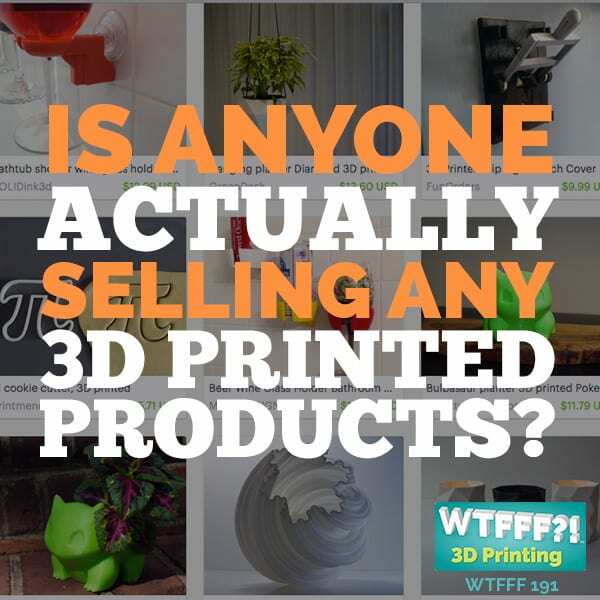 If anyone has ever used it, please let us know how the quality worked out for your “boozy” print. 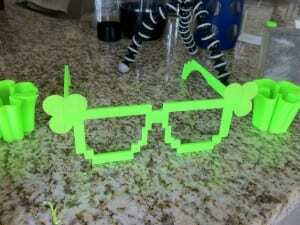 For the kids, there were a few cutesy items like a leprechaun trap, a leprechaun, shamrock glasses, a green mustache to ensure you don’t get pinched, and a shamrock cookie cutter. 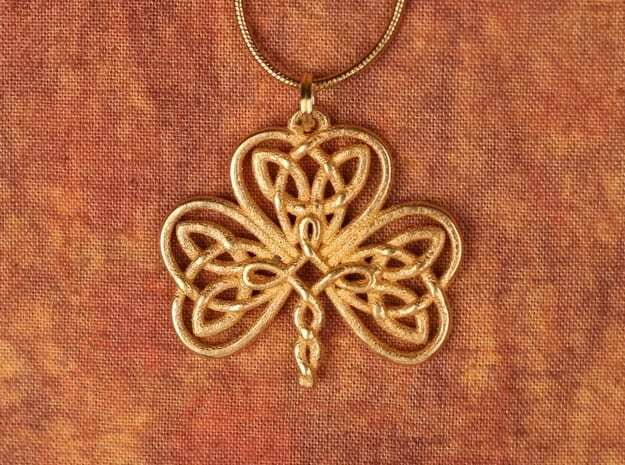 In the final category we could come up with, was more traditional Celtic jewelry. Not all of them are done in a green material choice, but all still show some Irish pride for March 17th. 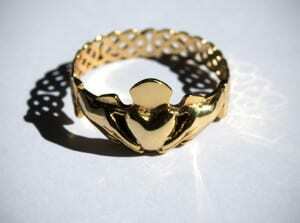 Bonus: can be worn year round as well. 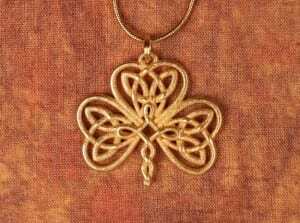 Shamrock Knot Pendant by Dfoley75 on Shapeways or at docelticjewelry.com. Next year it would be nice to see more party accessories, like the swizzle sticks and shamrock glasses – stuff that is fun for everyone and not just the legal drinking age crowd. 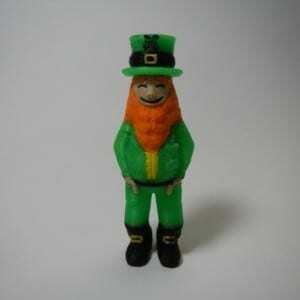 Even a pot of gold to print would be nice to keep the Irish eyes smiling on you.